The Ekkos Clan is one of the supreme novel of the year, a complete masterpiece of the Postcolonial genre. It traces the indigenous culture of the colonised population, celebrates the richness of the glorious past and in the process it reveals a well guarded secret that could change the entire history of the world. The book bears the pangs of partition, the richness of folklores, the intrigues of a traged and lastly the mysticism of a thriller saga. So you come across the pathos filled areas where the characters are torn apart due to Gadar(read partition)..while we have Amrita Pritam’s Pinjar and Khuswant’s Singh’s Mano Majra(Train to Pakistan) dealing with division in North western frontier,we have The Ekkos Clan dealing with the Eastern province..the first part is emotionally as well as brutally charged up. However gradually the narrative becomes cerebral.Yes,Das provides a rich fertile bed of intellectual and witty storytelling. The narration spreads across the continents. He handles the narration with code switching and code mixing,which could have been boring at times, but Das entertains the readers. The readers will be amazed to experience the encyclopaedic knowledge of the author because it contains so much of cross references ranging from Ghalib to Tagore,from lectures on automobile engineering to some of the earliest tracts of human history. 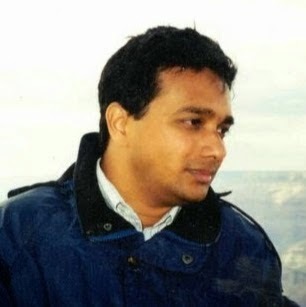 Das is holistic in his background research, dramatic in creating thrills and bluntly smart in his approach. So we have a blend of Dan Brown(read Da Vinci Code) and Ashwin Sanghi (read Rozabel Line and Krishna Key) in Sudipto Das,yet he is dashingly so innovative in his own way. It is not at all an easy job to sketch characters belonging to dissimilar cultural backgrounds and variable social temperament and Das does justice to each of them. Watch out how three people embark on a larger than life journey for the search of an ancient legacy and the journey to discover the roots of their existence.Don’t miss out the mystery of grand Kubha.This book bears the testimony of those mothers who gave up everything for the sake of their children during the partition.The Ekkos Clan is a magnum opus in its canvas, lavishly coloured with legends and folklores in its texture, twisted and cruel in its treatment but so simple in execution.This book is a stuff for serious readers, research scholars and yes to all readers….rise up above all the commercial literature,have some class..you have to read this one. Its delights you as well as teaches you a lot. 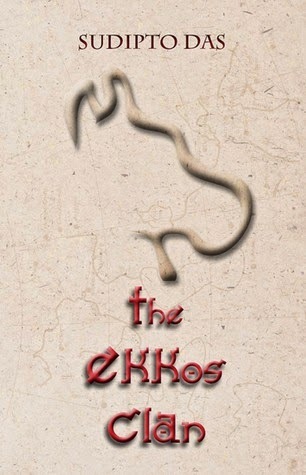 I have just finished the review a modern day classic…grab the copy..you cannot ignore The Ekkos Clan. I wanted to give 10,but the cover design which is otherwise very appropriate lacks the richness of this novel..could have been more attractive. Very good review Debraj .. But I was wondering what would you define as ” post colonial ” ? I think the writer deserves a better term.. ” neo colonial ” to be honest .. You yourself said that the book is not just about partition; partition is just one of the themes. Being a student of literature, I think you should ” re-consider ” the term ‘ post- colonial ” for I believe that Sudipto Das has moved away from post – colonialism and perhaps, you need to explore the book more. Thanks for your comment Debraj but still I would prefer to disagree with you because in my opinion, it IS NEOCOLONIAL.. You can read Ngugi Wa Thiongo’s book Decolonizing The Mind to understand why I am saying so. Thanks for taking time out and reading my book and then writing this wonderful review.